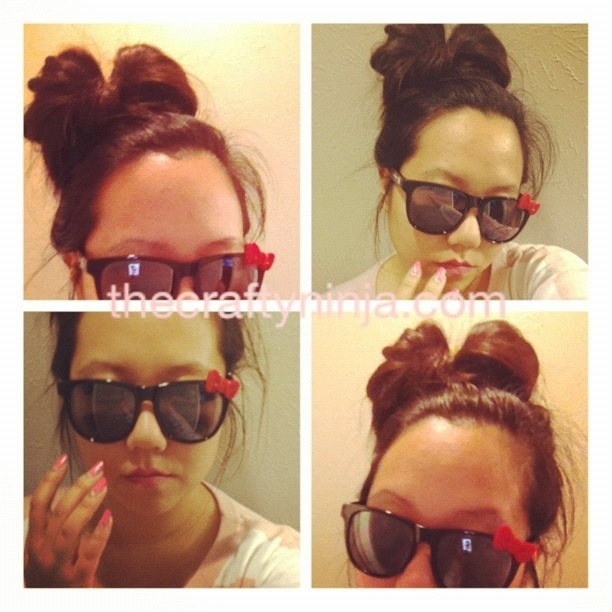 If you are bored with just tying your hair this is a very simple Hello Kitty bow inspired and Lady GaGa inspired hair style. Here I am with my hello kitty shades I purchased from Hot Topic. Hello Kitty Love! First tie a high pony tail with a loop. Divide the loop in half, with the pony tail ends bring it to the front to split the loop in half, and take the ends to the back. This will form the bow shape. Next, use lots of bobby pins to secure the tail ends to the back. I used a large hair pin. 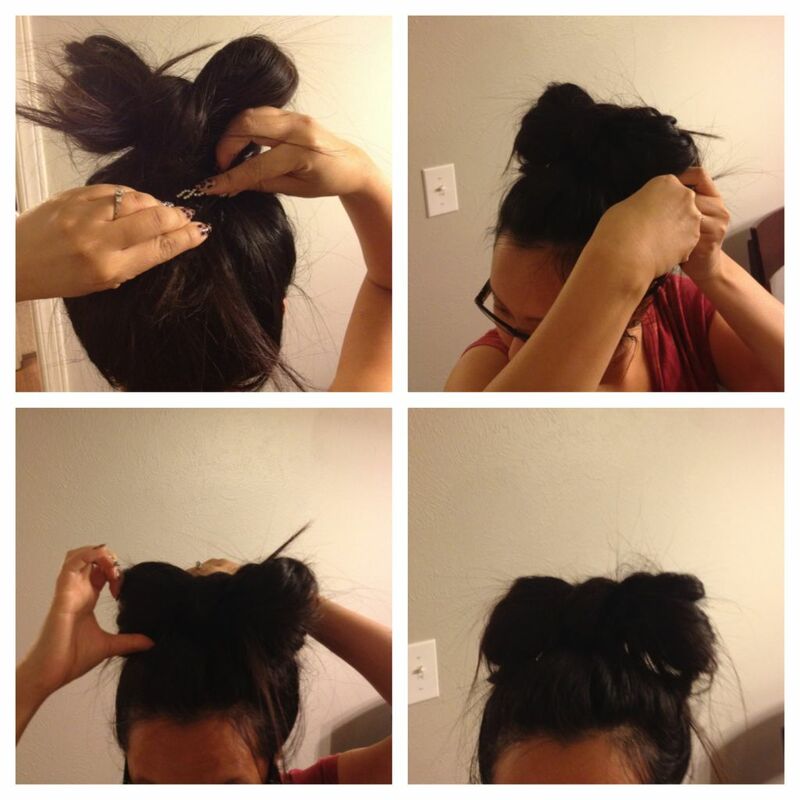 Use a bobby pin to secure the bow sides to your hair, and repeat on the other side. 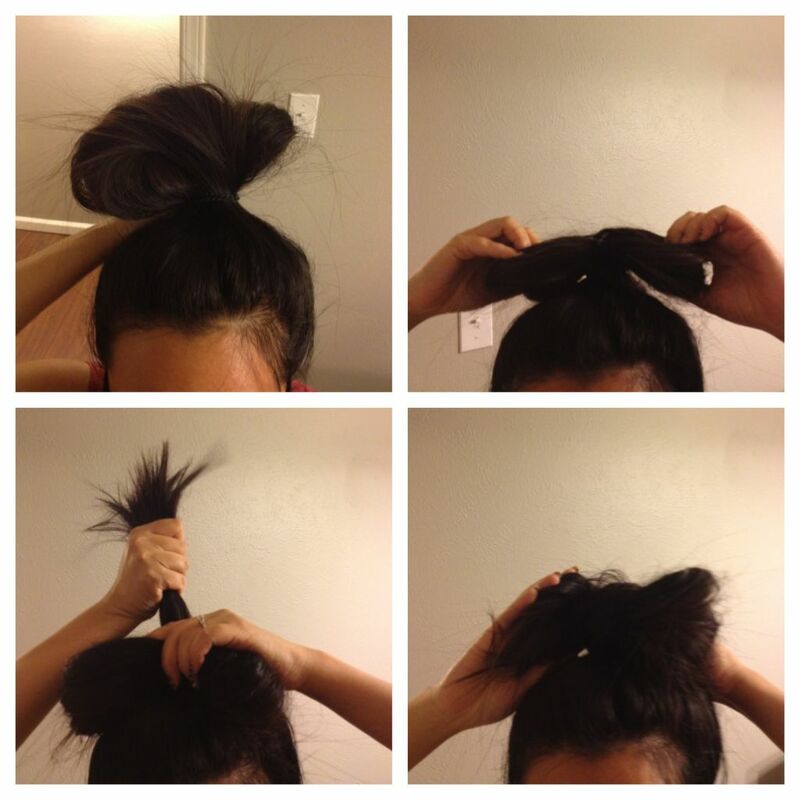 Use hair spray to style and hold. nice hello kitty hair bow..=).